Amazon announced today that their new devices, the Kindle Paperwhite and Kindle Paperwhite 3G, are beginning to ship. The device boasts an increase in pixels (62%) and a boost in contrast (25%). The new Kindle also includes Amazon’s new, patented built-in front-light, so that the Kindle is usable in a variety of lighting conditions. The design is thinner and lighter than ever, according to Amazon, and holds a battery charge for up to 8 weeks of use. The Kindle Paperwhite 3G contains all of the above features. In addition, it includes free 3G wireless. There are no monthly fees or annual contracts required. Overwhelmingly positive reviews abound at this point, from a variety of sources, including Mashable, Engadget and TechCrunch. Kindle purchasers have access to Amazon’s Kindle library, with over a million title available for purchase. 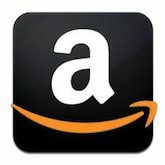 In addition, Prime subscribers have access to Amazon’s eBook lending program.